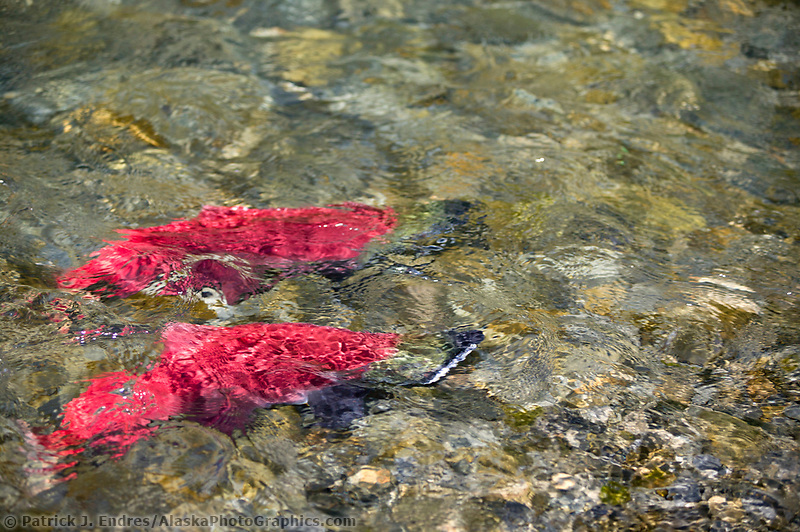 Alaska salmon photos include the pink, red and king salmon. 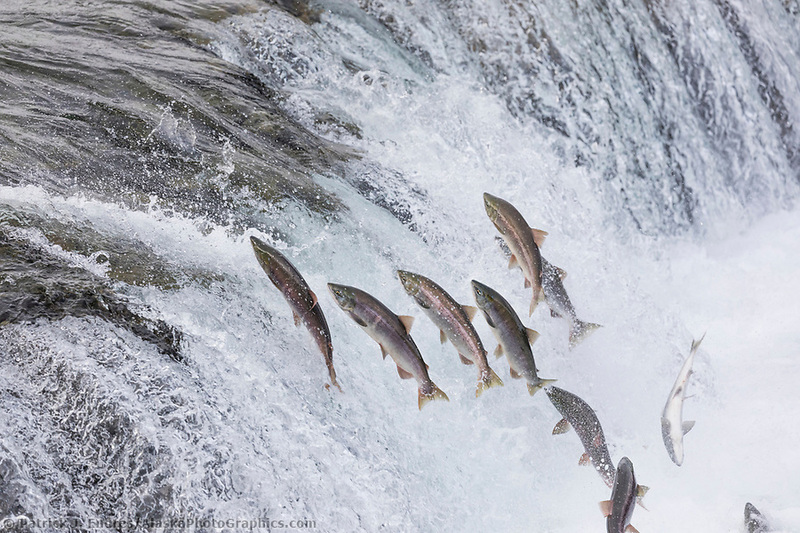 Wild salmon used to be distributed broadly throughout the world. 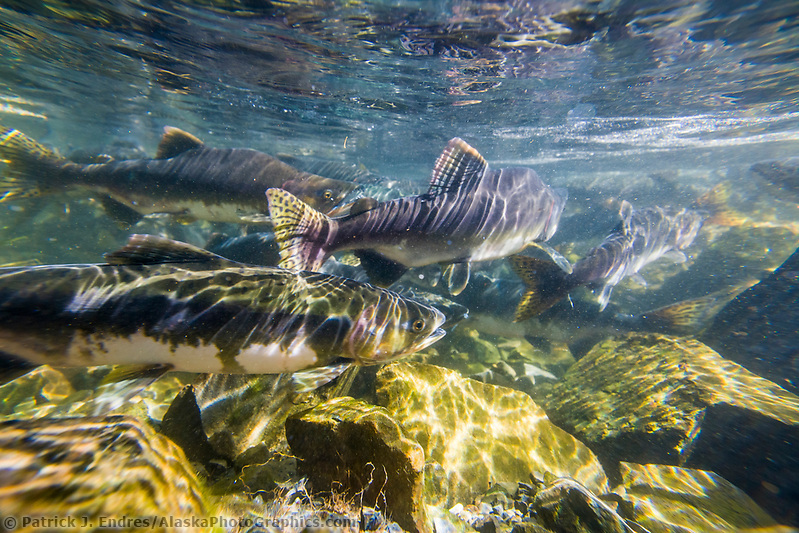 However, and sadly, due to damming, habitat loss and other factors, wild salmon are now highly restricted. 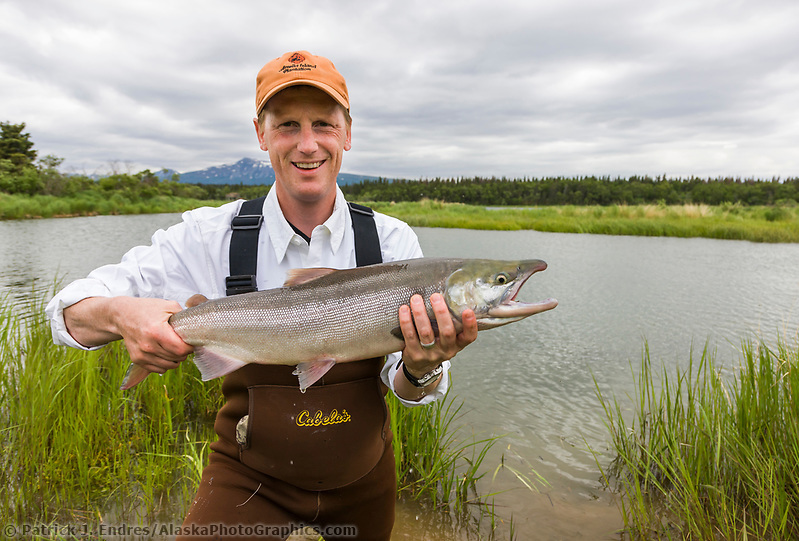 Alaska still has a healthy wild salmon population. Salmon are normally anadromous, meaning they are born in fresh water, migrate to the ocean, and then return to fresh water to reproduce. 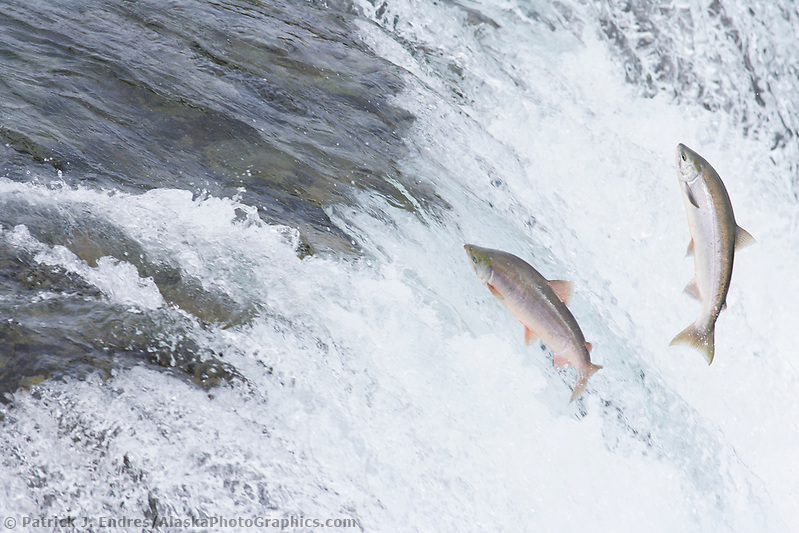 All of the Alaska salmon photos on this site are available as stock photos for commercial licensing or as fine art display pictures for home and office decor. 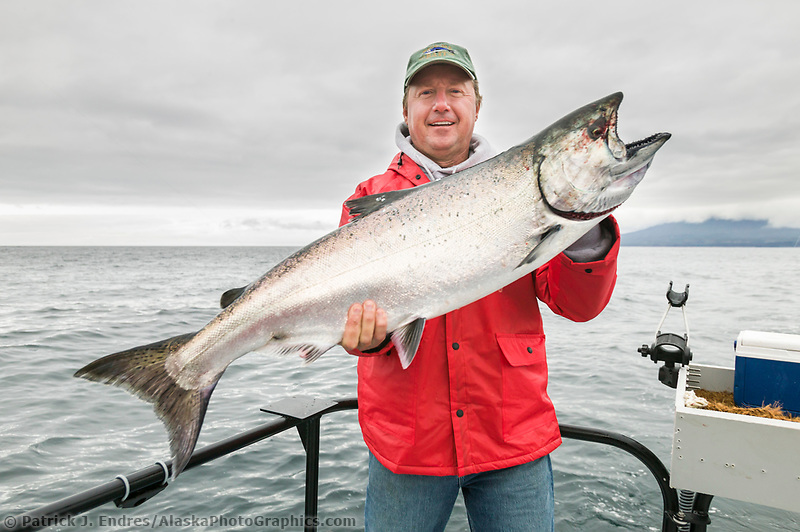 King Salmon is the largest of all Pacific salmon, commonly weighing over 30 pounds. 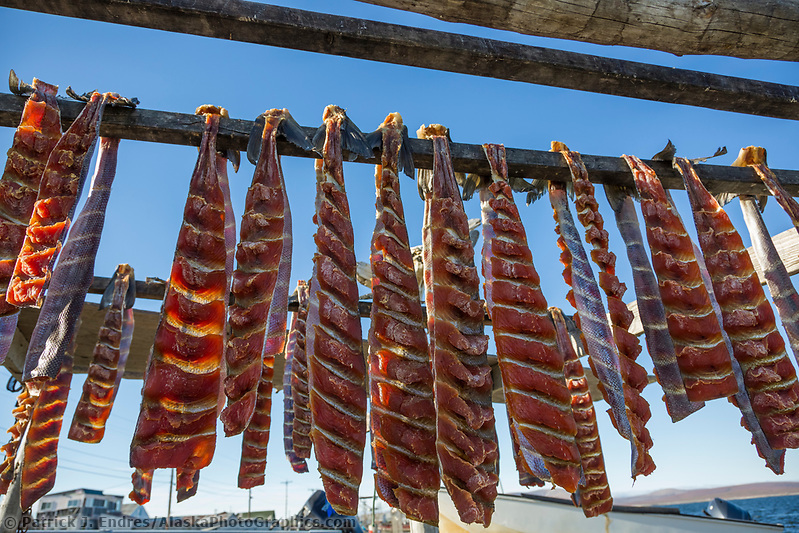 It is Alaska’s state fish and highly sought after by anglers and commercial fishermen due to its size and rich oily meat. 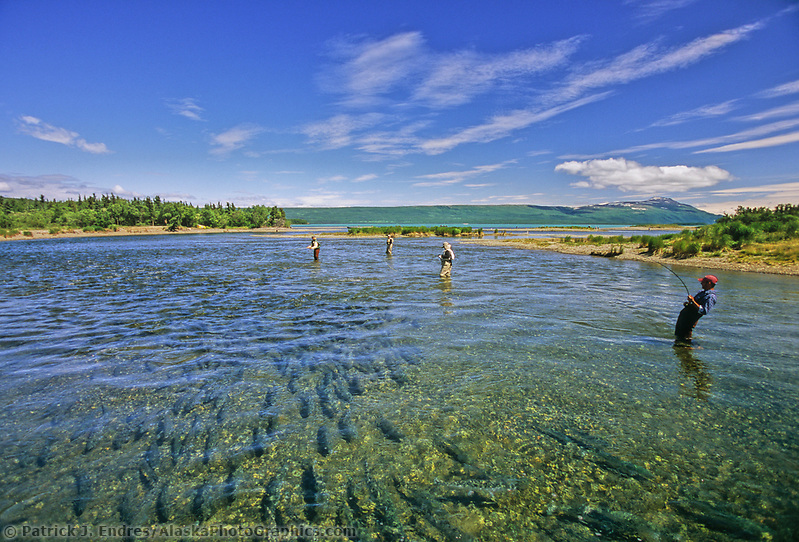 In Alaska, it ranges from the panhandle to the Yukon River. It is caught in rivers as well as the ocean open ocean waters. 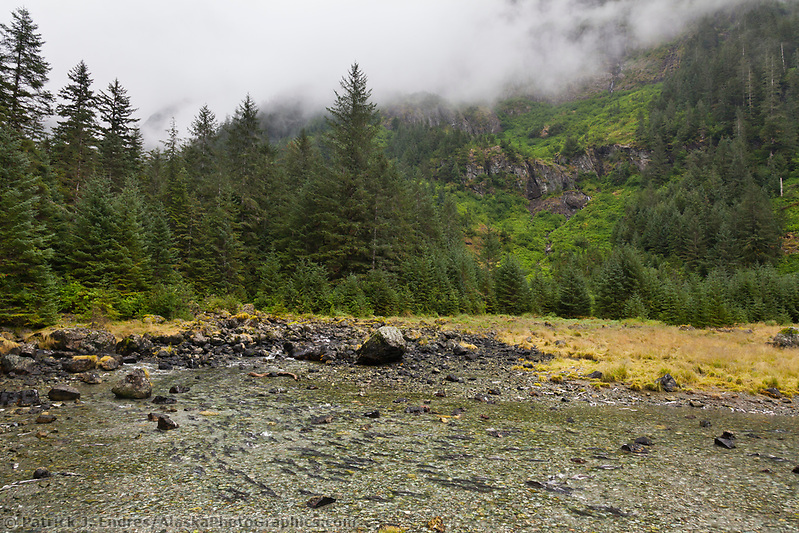 As the fish migrates up the river, it slowly changes color as it nears it’s spawning grounds. 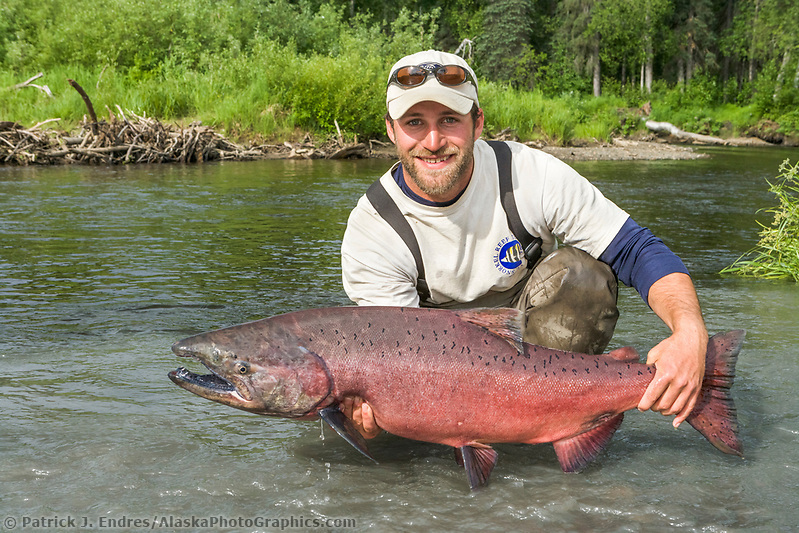 Red Salmon grow to as long as 33 inches and 6-8 pounds. They are blue and silver in the ocean but turn red with a green head when they enter fresh water to spawn. Males also develop a hump on their back. 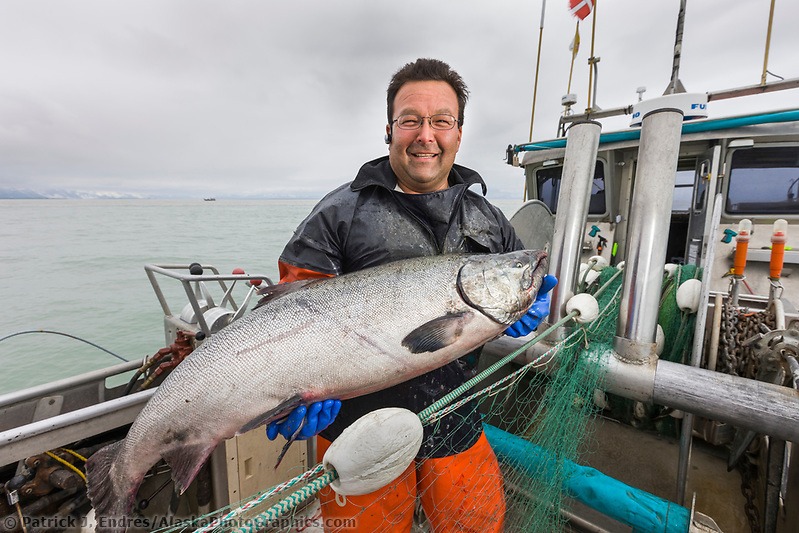 Some consider red salmon to be some of the best-tasting fish in the world. 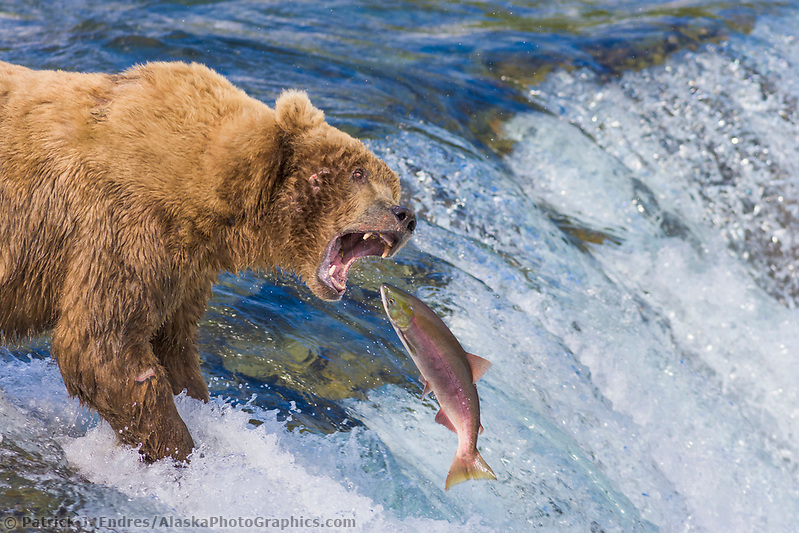 Many animals feed on salmon, and brown bears are known to consume great quantities to increase their fat storage for winter hibernation. 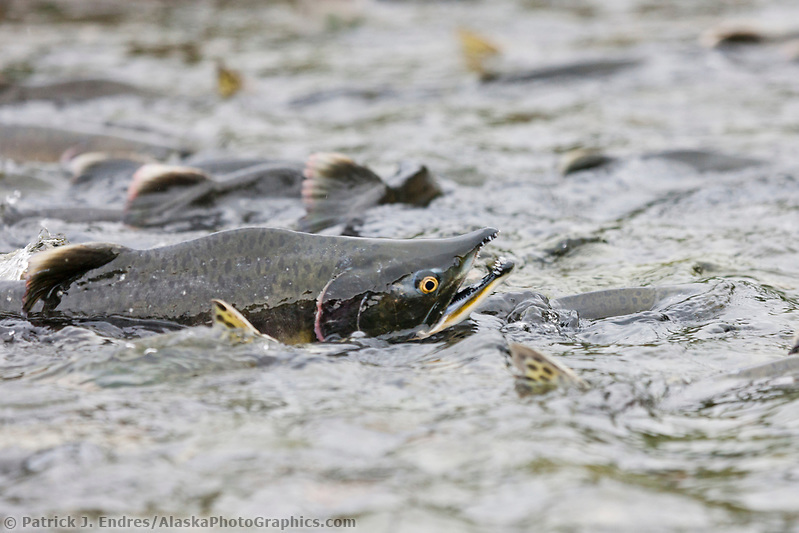 Pink Salmon are the smallest of the Pacific salmon, growing to around 4 pounds. 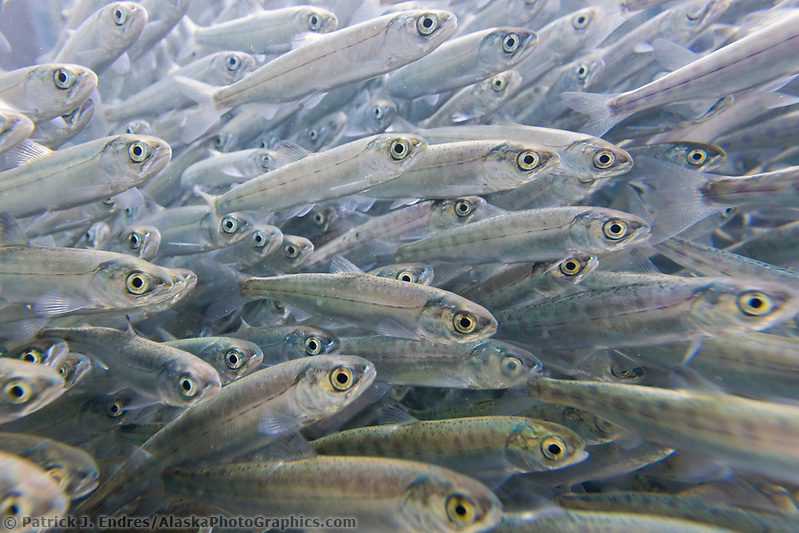 They are also the most abundant and are important for the fishing industry. 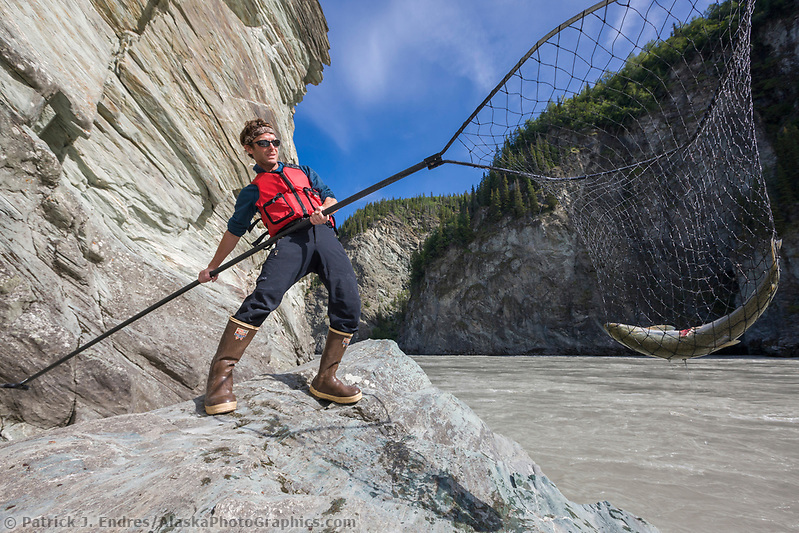 Harvests of greater than 100 million pink salmon have occurred in Alaska alone. 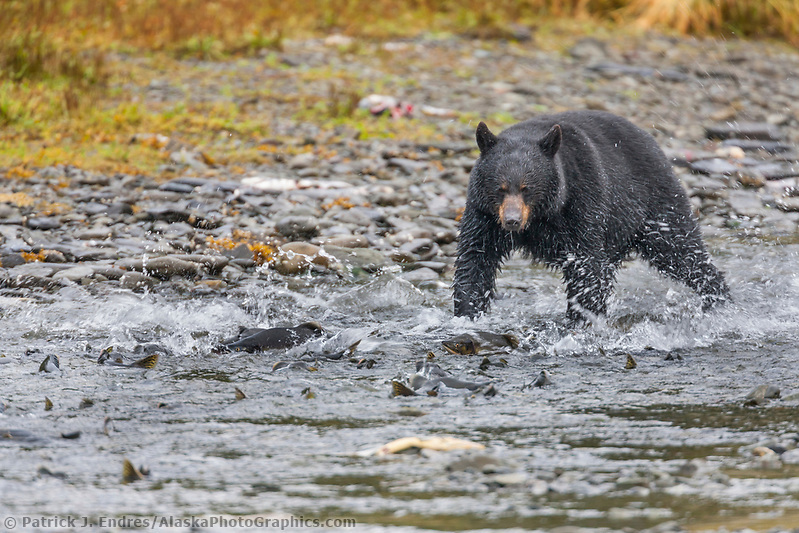 Black bears also feed on salmon in the streams along the shores of coastal Alaska. 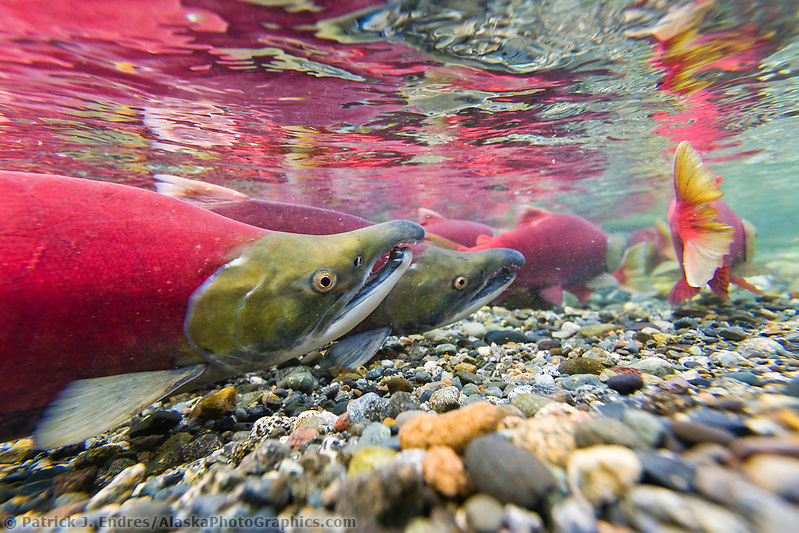 Pink salmon do not migrate great distances up rivers, unlike the other four species of salmon.